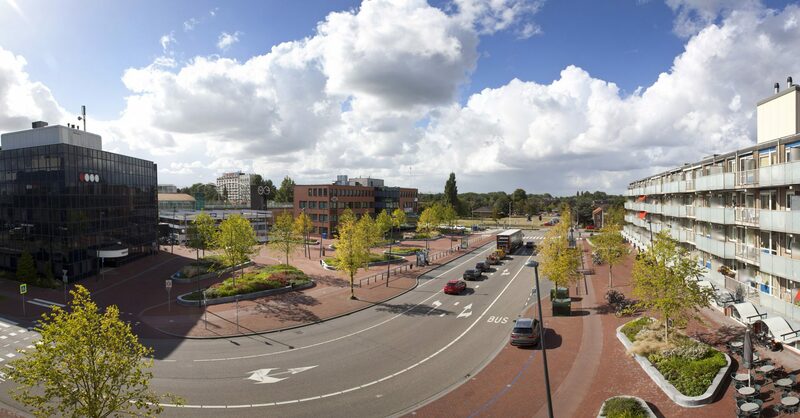 Zwijndrecht’s station square will be transformed when the High-quality Public Transport (HOV-D) is introduced in the Drecht cities. The original bus station will be replaced with a compact design that places the bus stops on the Stationsweg. 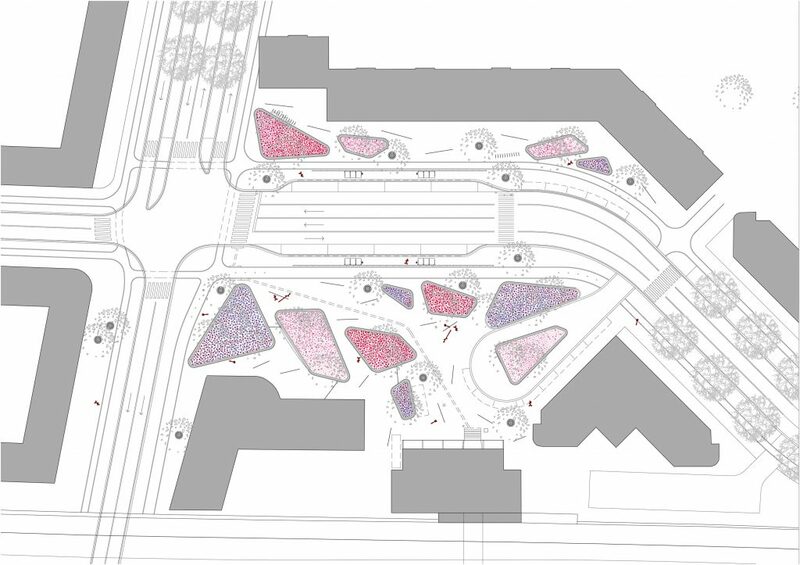 In doing so, a great amount of space will be open in the square for public use and greenery. 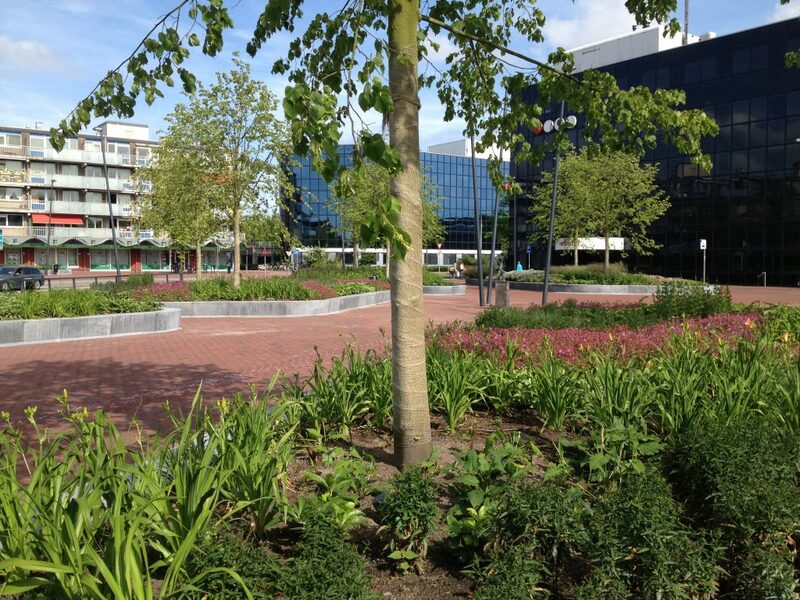 The square is a representative entrance that matches Zwijndrecht’s green character. side. In addition to the brick, an ensemble of raised greenery-filled islands that have concrete edges bring seating and vegetation to the square. These islands have a mixture of grasses, perennials and botanic bulbs. There are trees in the islands, as well as in the pavement to subtly guide visitors through the square. Routes for the disabled have been incorporated into the pattern of the pavement. Lamp posts stand among the trees and mark the main routes through the square.